Today my aunt was making us feel at home, like she has the whole week we’ve been staying with her, and she was going to make tostones since she bought plantains yesterday. When I heard the word plantain the first thing that came to mind was mofongo. 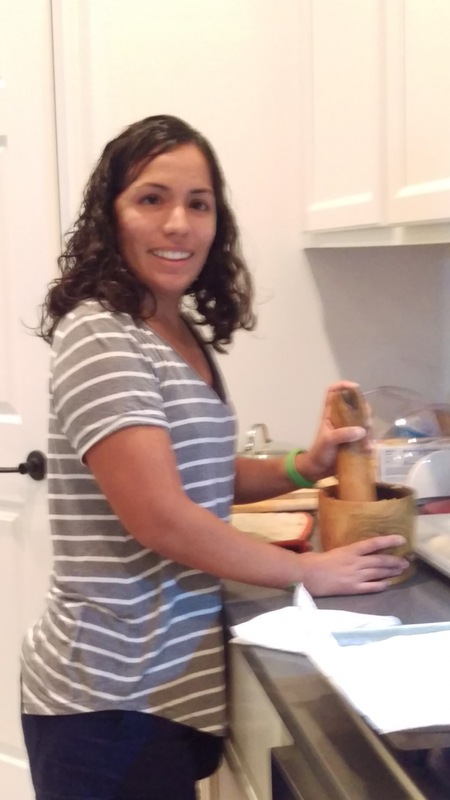 I innocently asked if we could make mofongo with those plantains, trying not to sound too picky or ungrateful because I don’t eat tostones, we are guests after all, but she said that we could. 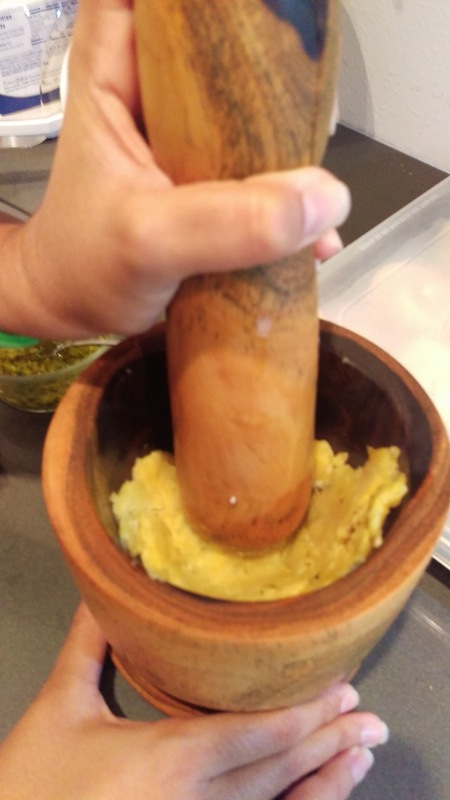 and mix with garlic, salt and voi là, we had mofongo! 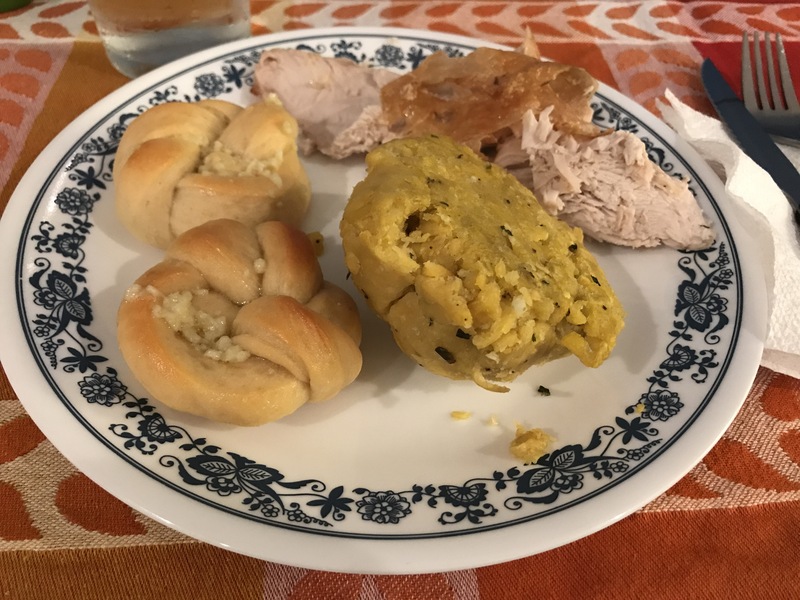 *Mofongo has more ingredients but we didn’t have anything else so we improvised, but it was good. That little bit of mofongo tasted even better because it felt like home because that’s what mofongo is, just a little piece of home. I tried and had only eaten it in Puerto Rico and that’s what it reminds me of. All I need is a Pilon!